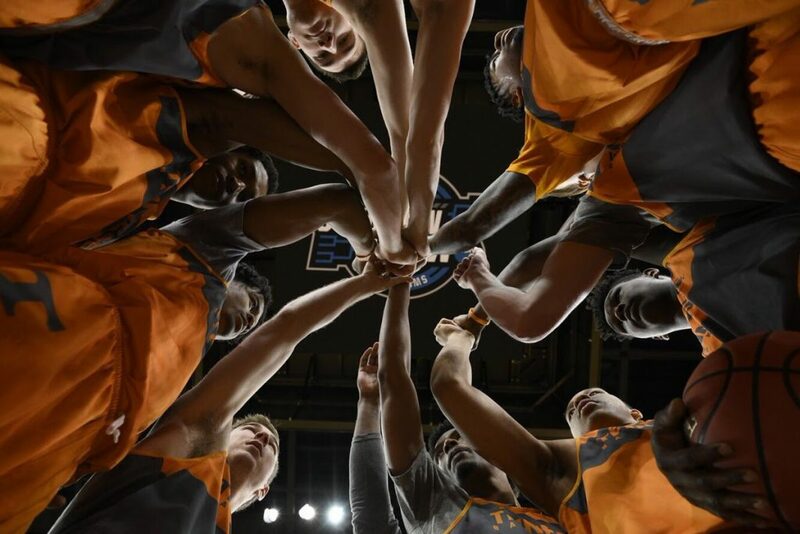 Right now, Tennessee’s men’s basketball team has two players currently testing the NBA Draft waters. Both Jordan Bone and Grant Williams are going through the draft process, and both players may not be part of next season’s roster. 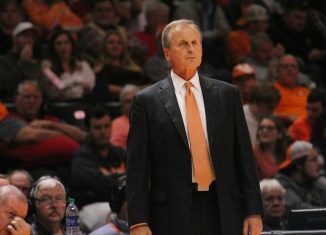 Besides those two, does head coach Rick Barnes expect any other roster movement this offseason? 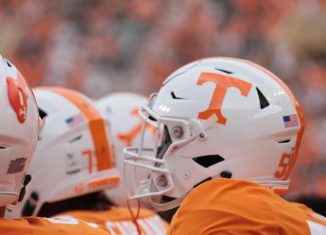 Tennessee experienced some roster attrition last offseason when guard Chris Darrington elected to transfer rather than return for a his senior season with the Vols. Darrington transferred to Toledo where he appeared in 33 games and a made a start, averaging 9.4 points and shooting 37.5 percent from three. Once Darrington left, Tennessee attempted to bring in someone to take the scholarship he left behind. The Vols courted several transfer options, and they settled on Richmond grad transfer guard Khwan Fore. 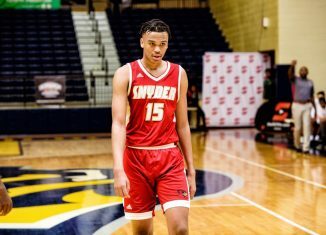 In fact, Fore ended up committing to Tennessee and had every intent of being part of the Vols’ roster for the 2018-19 season. Then, something happened, and Fore ended up decommitting and signing with Louisville. 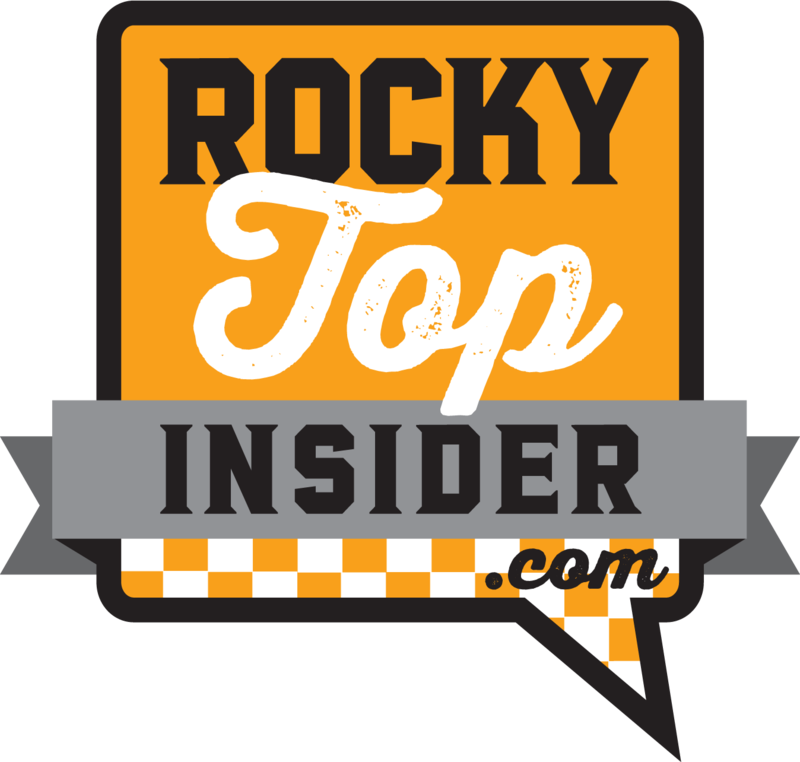 Tennessee never brought anyone else in, leaving them an open scholarship spot for the 2018-19 season. 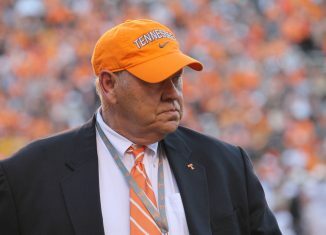 So far this offseason, the Vols haven’t had anyone transfer off the roster. 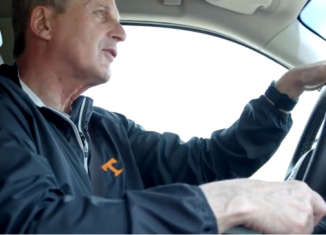 But that could still happen, and Barnes was asked if he anticipated that happening and if he has looked into the potential of adding any transfers to fill any voids left behind by Bone, Williams, or anyone who may transfer off UT’s own roster. “You’re always looking around for players, but right now I don’t see anything happening with our roster,” Barnes said during his press conference on Tuesday. “I don’t, but I’ve been caught off guard before and surprised before with it. We’ve talked to our players, and we’ve had great meetings with them, got their take on everything. We were out recruiting the other day, and Kim (English) made a great point to one of the recruits about the first day he walked into practice when the guys were working out. These guys are jumping right back into it, and the guys that didn’t get a chance to play last year feel like they have a chance. Their focus has been terrific. 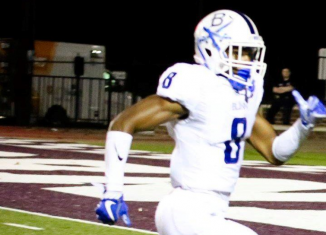 Last offseason, Darrington announced his intention to transfer on April 6th. If anyone were going to transfer off the roster this offseason, the time to announce is now and in the coming weeks. 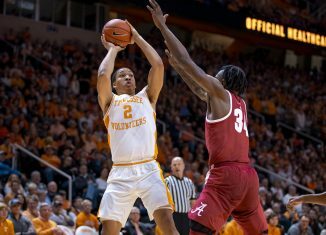 If Bone and Williams both elect to stay in the 2019 NBA Draft pool, that will free up two scholarship spots for the Vols’ 2019-20 season. If one stays in, then that will open up one scholarship. 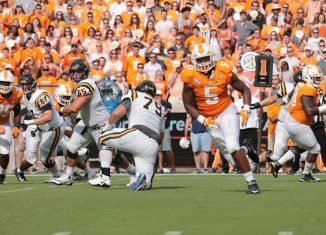 But if both players return and nobody else transfers, then Tennessee is set for next season. 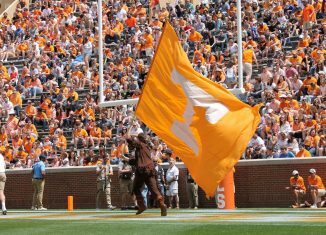 The Vols signed three players in the fall in their 2019 signing class, and those three recruits took up the only three scholarship openings Tennessee had heading into the 2019-20 cycle. 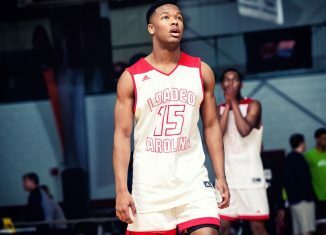 Five-star Josiah James, three-star Drew Pember, and three-star Davonte Gaines will all join Tennessee officially over the next two months, and they look to be the only new additions to UT’s team as of now. 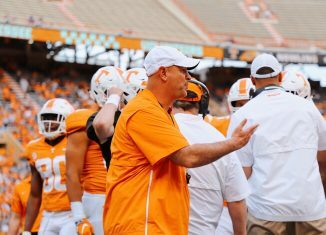 For Tennessee to add any transfers or late additions to the 2019 signing class, a spot has to open up first. Right now, there’s no open spot unless Bone or Williams stays in the draft pool. So far, nobody on Tennessee’s team has put their name in the new NCAA transfer portal, but Barnes knows it’s always a possibility. 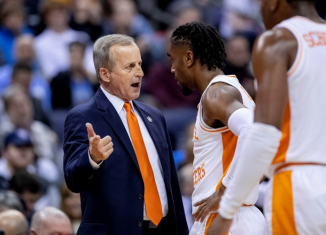 This is the first offseason the Vols’ men’s basketball team has had to deal with the transfer portal, and while nobody has taken advantage of it yet, Barnes knows that could change and could lead to a shakeup. “Every year you’re going to make a new team it seems like,” Barnes stated. “Guys leaving and putting their name in the transfer portal. I don’t care where you are, it seems like guys are having to think at the end of the year that they’re going to have to make a new roster. That’s where college basketball has gotten right now.